Such a classic little black dress from Pink Blush . You can never go wrong with one ! I have reached 2000 followers today on Instagram , and that too in such a short time, so here’s a way of saying THANKYOU 💖with my first #giveaway . I’m a total sucker for dresses and Pinkblush has such an exciting collection for 🍁Fall🍁and has something for everyone. 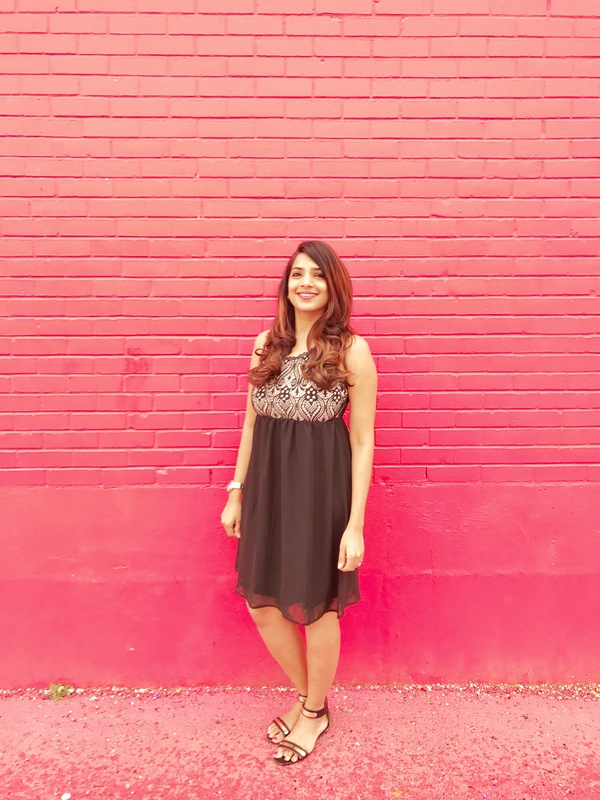 This #Pinkblush Dress has totally taken its place as one of my favorites. Check out their amazing collection www.shoppinkblush.com. Because I love you all and want you to enjoy modern and versatile designed pieces, I’m teaming up with @shoppinkblush to give one of YOU the chance to win $50 to their shop, and entering is super easy! • Like my FB page TheSnazzyMom and let me know what will you get with your credit on the giveaway picture. Giveaway will run from 10/2-10/7 at midnight CST, and a winner will be announced on 10/11. Disclaimer: This giveaway is sponsored by Shoppinkblush and no way sponsored by Instagram !